The members of the winning team were awarded with a full scholarship for this year’s Seminar Week during the European Forum Alpbach 2016. The full scholarship includes participation, accommodation and travel costs and will be covered by GRAWE osiguranje d.d. Sarajevo, the sponsor and the initiator of the project. We congratulate Lejla Lapo, Anesa Vardo, Elma Mehanović and Aida Mirojević, the members of the winning team, and we look forward to seeing them in Alpbach. We would like to thank the School of Economics and Business Sarajevo for our ongoing cooperation, and we would like to express special thanks to GRAWE osiguranje d.d. 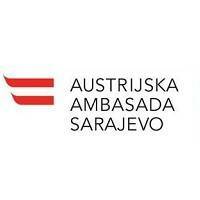 Sarajevo which has recognized our work and has decided to continue our cooperation on this significant project. We appreciate their support for education of young people and the cooperation they have established between their company, the School of Economics and Business Sarajevo, government institutions and our organization. This project is an excellent example and an indicator that the cooperation between the private sector, educational institutions, government and non-governmental organizations is not only possible, but necessary.